Hello, and welcome My name is Omolabake Tom-Aba and I am a PMP project management professional, trained Business and Human Capital Consultant. Have you heard about the kingmakers, I don’t mean the film or movie. I mean people who are gifted in identifying and making ordinary people into kings. Yes, that is how I will simply define myself. I would like to introduce myself as a kingmaker, although I am not into magic, I simply help business, Startup and entrepreneurs with a proven process used to ensure that their business process runs smoothly. By managing everything that has to do with the business process, Marketing, Project Management and Administrative Management. Asides that I am a content writer or say a business content writer which means I write remotely to help engage your client, my content is easy to understand, thoroughly researched and SEO optimised. For a long time, I have provided help and support for family member to help their business grow, coordinated marketing and product launching events that have helped different company and client generates massive and thousand revenue. while this is not a bragging exercise, I must say I am proud of the results I have been able to achieve with my skills sets, Knowledge and expertise. I act as a virtual manager for your team. I keep things running smoothly by regularly staying in touch with everyone, using online calendars and scheduling tools, e-mails, and phone calls to make sure everyone is meeting their deadlines. Refusing projects because you can handle all of them? I can support you with client management. Once you land a new client I can work with them to determine their specifications and needs, write it all up and work with you and your team to distribute tasks and make sure it all gets done. Preparing to launch your online course, membership site or product and need someone to handle the whole project process? I got all that you need. Digital marketing content I can help your business generate more traffic, help you rank high on search engines, especially Google, and increase your sales. Put in all the code snippets you need for Google Analytics, funnel, Facebook pixel, etc. I am an MBA and Business Mangement Graduate from the University of Roehampton, UK and the prestigious University of Lagos, Nigeria. Favoloso Projects was simply a hobby that grew into a project. When I am not consulting with Amazon, you will definitely find me in the local startup and Small Business in Braunschweig. If you need help with your projects and business, Marketing or simply looking for how to scale your business to make money. I can teach you a strategy to get real result. As a self-starter, I believe that one must take advantage of different opportunities and go out for them, rather than the seat back wishfully thinking all day. Growing up I wanted to be a doctor ! that did not happen anyways. I obtained a Diploma in Computer Science from the Lagos State Polytechnic (That should explain why I love everything tech and TESLA). 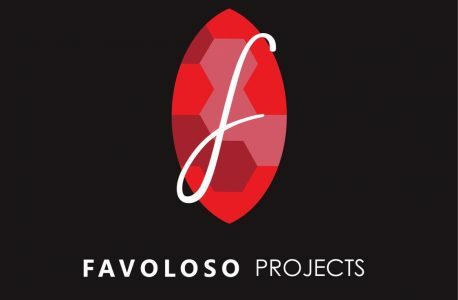 I started Favoloso Projects with the aim of connecting with business owners and Startup company to provide project support as well as write about my various experience on different projects as I work on them.